For many women, their annual visit to the OB-GYN serves as their primary access to health care. We may not be visiting our general practitioners for regular whole-body checkups, but we are (rightfully) concerned about getting breast exams and Pap tests. That’s why the American Heart Association and American College of Obstetricians and Gynecologists recently issued a joint advisory that encourages collaboration between OB-GYNs and cardiologists to help identify early signs of heart disease in women and work with their patients on preventing it. According to the AHA, more than 90 percent of women have at least one risk factor for cardiovascular disease, and fewer than half (45 percent) know that heart disease is the No. 1 killer of women in America, so incorporating heart health into yearly OB-GYN exams could have a big impact. As a result, those annual exams are “a powerful opportunity to counsel patients about achieving and maintaining a heart-healthy lifestyle, which is a cornerstone of maintaining heart health,” AHA President Dr. John Warner, an executive vice president at UT Southwestern Medical Center in Dallas, said in a statement. After years of ignoring or misdiagnosing women’s heart issues — because heart attack symptoms look different in women than in men — medical professionals are also realizing that traditional heart health risks (high blood pressure, diabetes, high cholesterol and obesity) may affect women differently than men. In other words, this is more than a matter of recognizing whether a woman is in cardiac arrest in an emergency room, but also means incorporating more effective preventative measures. Not only that, but various reproductive milestones, like menopause and pregnancy, can also affect heart health, so adding a cardiovascular component to annual OB-GYN visits makes sense. In addition, preterm delivery and pregnancy complications such as preeclampsia and gestational diabetes can increase the risk of developing heart disease. 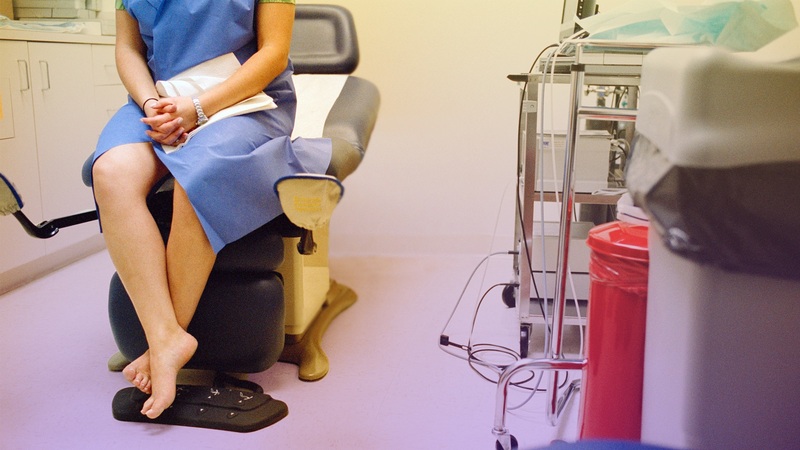 Furthermore, if someone doesn’t have health insurance, their medical options are limited, so for many people, their annual trip to the OB-GYN may be their only access to health care. And thanks to free clinics and organizations like Planned Parenthood, the yearly well-woman visits can be more accessible than appointments with general practitioners. As a result, these OB-GYN appointments often involve discussing other health factors, like nutrition, stress, weight and exercise, so extending this to include cardiovascular health (in a more official capacity) is the next logical step.